My ancestors were Scottish and Irish immigrants. The 'pipes' are part of my life. Many people make jokes but for me bagpipes can be mesmerizing, hypnotic, evocative, and have, on occasion, brought me to tears. Last autumn, on Remembrance Day, my next door neighbour honoured the day by playing the pipes in his back yard late in the afternoon. Shivers ran up my spine. Tears came to my eyes. In Fergus last weekend, I stood near one of the bands as they rehearsed. I got lost in the music. An hour disappeared. The booming bass drum had much to do with the hypnotic effect but the pipes resonated deep inside me. I was transported to a different world. When the music stopped, I missed it. I craved more. There may be an addictive aspect to this. I'm a photographer just learning about videography. 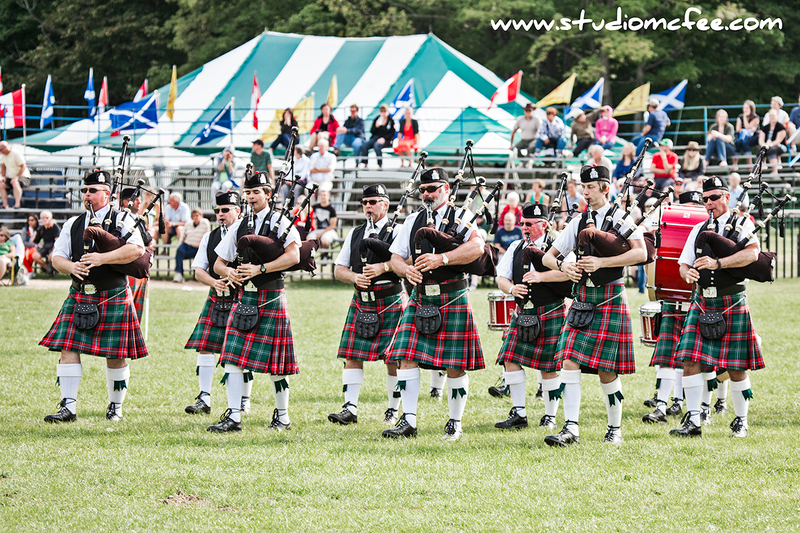 This short 30 second video captures one of many Pipe Bands at the 2013 Fergus Scottish Festival. 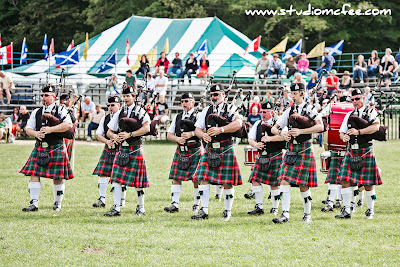 A seriously compressed YouTube video doesn't really do justice to the sound but, if you are unfamiliar with bagpipes and pipe bands, this video will give you some idea.